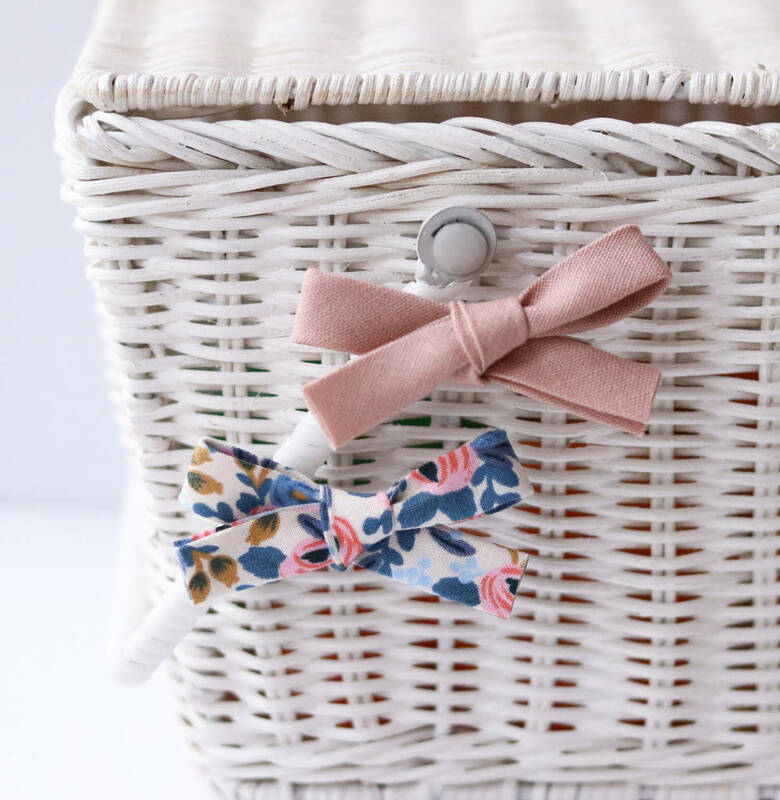 A duo of stylish hair bows including one Rifle Paper Company Periwinkle and one plain pink linen. 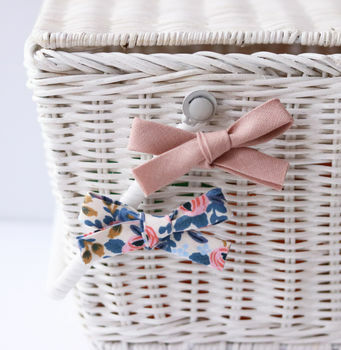 Made from cotton & linen fabric and metal alligator clips. Not recommended for children under 36 months, children must be supervised at all times wearing hair accessories. 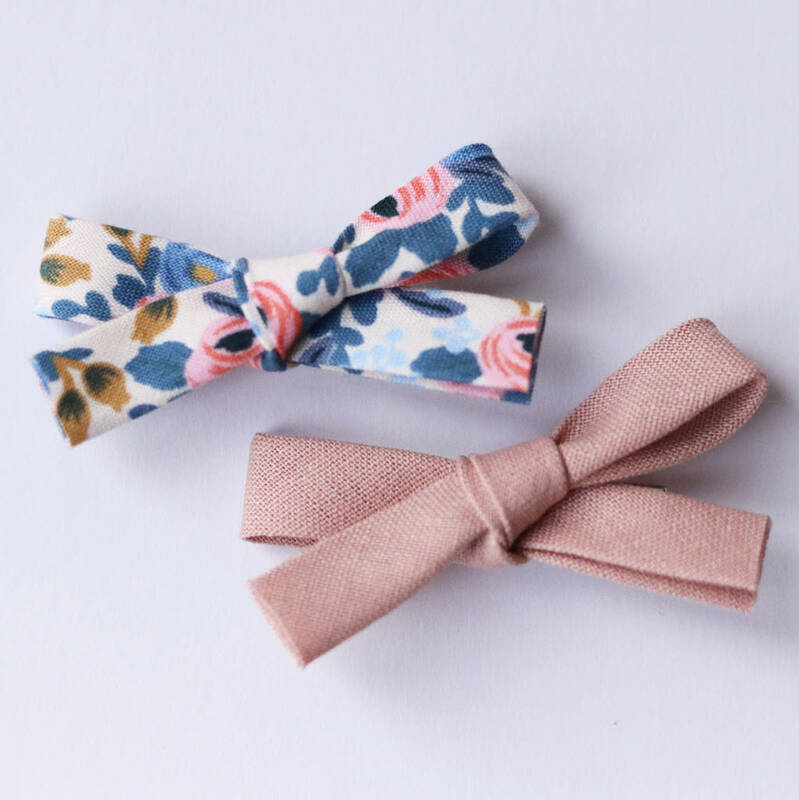 Children must NEVER be left unattended wearing hair clips or headbands as they contain small parts and may be a potential choking hazard. Please note that by purchasing our products for children under 36 months you do so at your own risk and are accepting full responsibility for their safe use. This product is dispatched to you by Evie Michelle.